Truth by Kbaig: The System of Self Accountability in Army and NLC Scam! Captain Arshad was serving as Staff Officer in 18Div Hyderabad. He got married from Hyderabad. After some time he returned back to his parent unit of artillery posted in Azad Kashmir. Coincidence or just irony of fate his unit moved to 18-Div in Hyderabad where an operation against dacoits was going on in the interior Sindh. Till than Captain Arshad had been promoted to Major rank; his unit was responsible for the operation against dacoits/miscreants. During this on a report/information about the dacoits, Major Arshad along with his soldiers and heavy numbers of Policemen arrived on the spot where after mutual firing and fight more than a dozen dacoits were killed. The next day the newspapers were flooding with the report of successful operation against dacoits. The background of dacoits and the weapons recovered from them were published on the newspapers. After few days a newspaper from interior Sindh published the news that the persons killed were not dacoits but the landlords who were murdered through conspiracy. If the matter had been of Police or Civil Administration nothing would have happened but in this operation army was directly involved, so as a result as soon as the news reached the army the self accountability system of army came into action and after the investigation the facts were completely from what had been reported by the raiding party. The summary is that the persons murdered in the name of dacoits were at dispute regarding land with the in-laws of Major Arshad. The in-laws of Major Arshad planned to get their opponents murdered under the cover of on going operation against dacoits; they were advised by a higher police official posted in the same area to do so. So the higher officials of Police informed army about the dacoits hiding at a place that were planning for serious dacoity. While the fact was that they were invited by in-laws of Major Arshad for Panchayat/arbitration. On the completion of investigations Major Arshad along with his three soldiers was arrested by Military Police. In the court martial they were sentenced to death and afterwards executed as well because the Chief of Army at that time Asif Nawaz Janjua has also supported their death sentence. But the astonishing fact is that Police officers and in-laws of Major Arshad who had planned this murder, no one asked them and were left free. Not only this on completion of the investigations General Officer Command of Div-18 Major General Ishaque was transferred from Hyderabad at once while a Brigadier was forced to retire. This was just incident which came on surface due to its nature otherwise there are uncountable such incidents of integrated self-accountability due to which many officers are expelled from army or in spite of brilliant professional profile are kept away from progress. This does not mean that there is no corruption in army or there are just angels but every young man who joins Pak-army his actual dream is his career or future which he struggles to keep it as much clean and clear as possible. The purpose of rules or laws is to keep persons away from every act which may fall against discipline even in weak moments of ones life due to the constant fear of accountability. Abut dew to the usual political conditions of the country and the threats that Pakistan has inherited from its birth army had to intervene govt. many time toppling it and due to this public thinks that army or soldier is just like a sacred cow that no one can question or hold accountable. Why army interferes or overthrows political govt. this is a separate discussion but as a department if the system of self/internal-accountability has been missing neither we had been able to complete our nuclear program nor it had been so much strong that in spite of international conspiracies it is still there and will remain forever inshaAllah. Look at the example of NLC scandal. 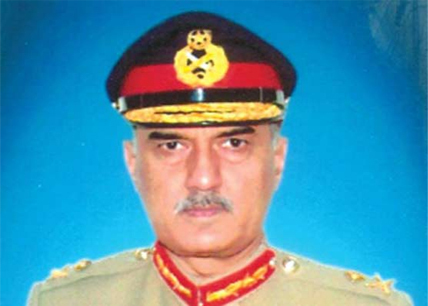 In the way three ex-higher officials of the Pak-army are going to be court martial; few of our anchor-persons and anti-army politicians want to dispute it as well in the eyes of public by criticizing it. 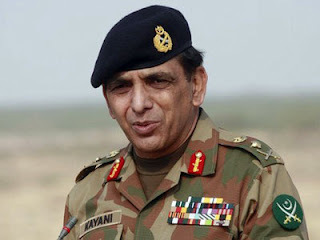 They want that all three Generals are given in to the hands of Police, holding a traditional inquiry and than an ending series of hearings in courts so that army as a whole could be defamed and culprits are left free just like as in case of most corrupt politicians still in the parliament. Those politicians who term their disclosed corruption as “REVENGE” looting public resources as their right or those who are involved in crimes as well as corruption want to turn court trial of these three Generals into media trial so that public’s attention could be diverted from their corruption. That is why these elements are burning with anguish on reinstating of these three Generals on their ranks as Generals so that the trial of court marital could be started against them. On this the professional depth and responsibility should have been appreciated that the system of army is so much powerful that it can bring its own officers to justice. This reinstating has been done by the means of an act of army ‘Pakistan ARMY ACT SECTION 92 IN CONJUNCTION WITH SECTION 40’, according to this act at the time of court martial it is necessary for the accused to be in duty. This is not something new in many countries like Britain and India there are such examples in which those army officers who were involved in crimes were reinstated even after ten years of retirement for court martial. Court martial trial has been decided against Lt. General Khalid Muneer, Lt. General Afzal Muzaffar and Major General Khalid Zaheer. They are accused of not corruption or looting of Public Money but investing it in such way that it got lost, so an inquiry had been initiated against them and in the light of this inquiry this has been decided that they should be brought to justice through court martial. 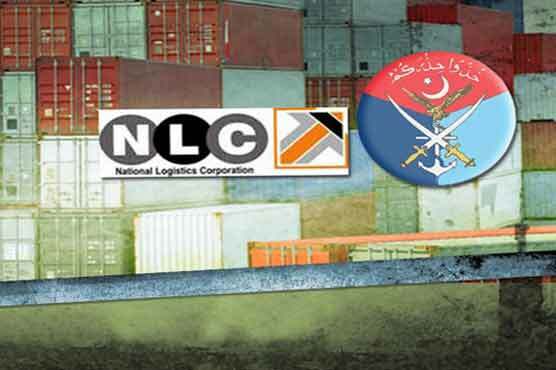 This inquiry had been conducted by Lt. General Khalid Naeem Lodhi (Retd.) who got retirement from 31-Corps Bahawalpur last year. Although he is junior to the accused officers but due to his honesty and career profile he was assigned the responsibility to hold the inquiry and he completed this task within the given time. Here this should be kept in mind than in NLC Scandal along with army officers few civilian officers were also involved that is why in spite of completion of inquiry the proceeding of court martial had been delayed. Otherwise our anchor persons and other notables notorious for propaganda against Pak-army are well aware that there is no inclination in Pakistan army for suppressing the inquiries or supporting the culprits. Here I would like to quote an incident from Multan. 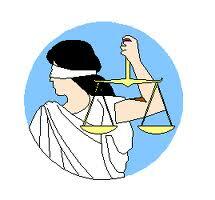 In 2002 inquiry against a higher civil officer was going on by three officers of Pakistan army. But during the inquiry (that was being monitored as well) this was revealed that someone within the inquiry committee was supporting that corrupt officer who was notorious for corruption in the city. At last one Major was tracked down who was helping the accused not for personal benefit but due to the pressure of his relatives. Inquiry against Major was initiated; on completion of inquiry and prove of allegation Major was forced to retire however the civil officer is still in the office on contract after being retired for being guilty of corruption. Here I would like to request my friends, writers, and anchors that in spite of disputing the reinstatement of three Generals on their ranks they should appreciate their national asset i.e. Pakistan army that has an active system of accountability in such a time when the orders of Supreme court are being ignored. This system of accountability is strong enough to decide without any pressure on the merit basis. Public should keep in mind that all three accused Generals that have been reinstated neither have been given any military duty not posted anywhere but they have reinstated to bring them in the trial for justice. This was necessary for the law to hold them and for this our army needs to be appreciated.